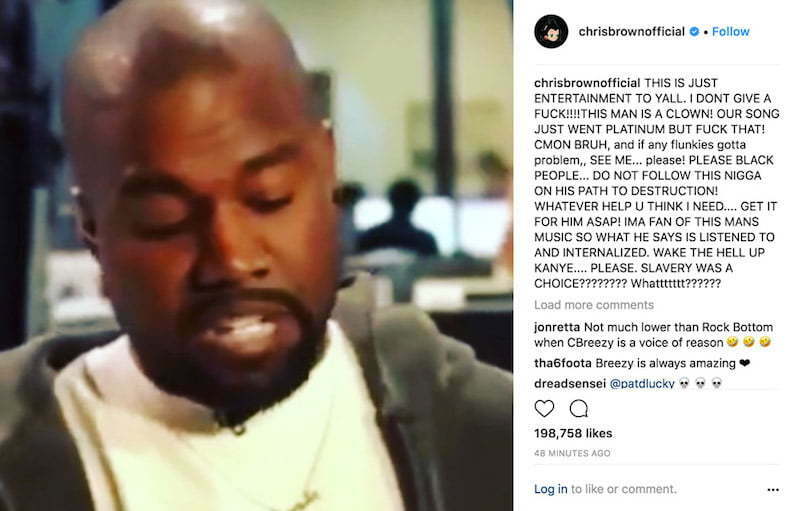 Chris Brown went HAM on Kanye West on Instagram yesterday and so did a number of celebrities. Kanye West, aka Yeezus, has been in the headlines for the past two weeks over his infatuation with President Trump and his so-called “Free Thinking.” But this week he manages to draw the ire of the entire black community when he said “400 years of slavery was a choice.” That sent off a firestorm and Kanye later tried to clean it up but it is clear that people are at their wits end with the rapper including some of his celebrity friends. 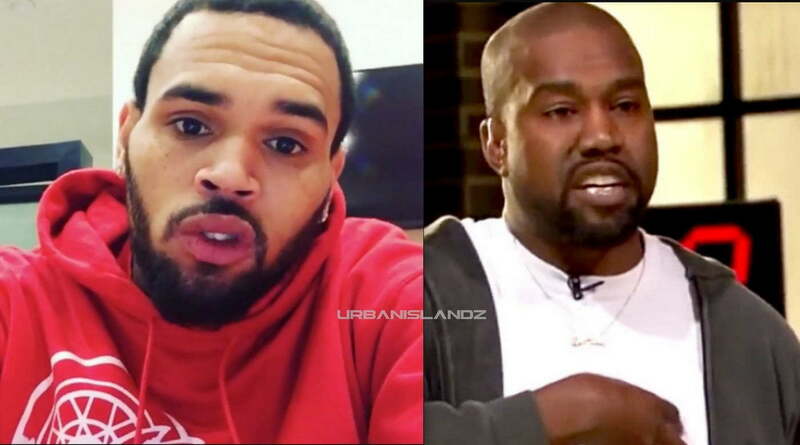 Chris Brown then posted a video clip of Will.I.Am sharing his thoughts on the Kanye West slavery is a choice situation. “HE ARTICULATED THIS A LOT BETTER THAN I COULD’VE,” Breezy wrote in a much more calm way. “I DELETED MY POST BECAUSE OF THE IGNORANCE IT REPRESENTED WITH MY DELIVERY. I WANT KANYE TO SHINE AS A LEADER, NOT FLICKER AS PAWN. Kanye West justified his argument saying that he would rather be taught about the future in school than the past, meaning he doesn’t want to hear about slavery and things of that nature from our past. He pretty much doesn’t want to hear about what our ancestors went through for us to be where we are now.